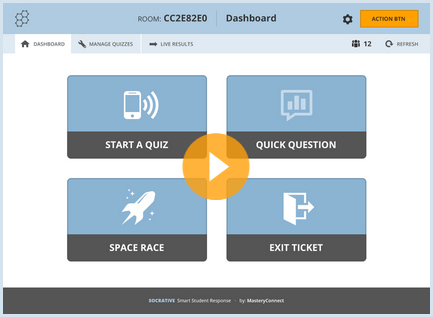 I want Spring just as much as the next guy, but it appears as though Socrative's new "snowy" skin will make the service much more friendly to projectors and mobile devices. You can expect the launch on April 2nd. I feel like I'm cheating on Google Forms when I say this, but I still love Socrative very much. It really is masterful at making formative assessment quick and easy for teachers who want to reduce prep time. The Quick Question feature makes it so a teacher can even ask questions on the fly in real-time. Give it a try if you have never seen it or give it a second chance if you haven't used it in a while.